Consistent with its heritage since its founding in 1770, the College retains a strong liberal arts undergraduate curriculum. Located in the heart of historic Charleston, it strives to meet the growing educational demands primarily of the Lowcountry and the state and, secondarily, of the Southeast. 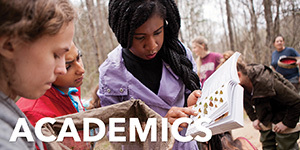 A superior undergraduate program is central to the mission of the College of Charleston. 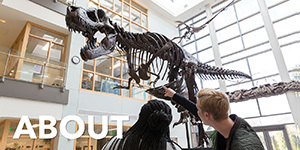 As a prominent component of the state’s higher education system, the College encourages and supports research. The final authority and responsibility for the governance of the College and its academic programs is vested in the College of Charleston Board of Trustees in accordance with the law of the State of South Carolina. one (1) member appointed by the Governor, upon the recommendation of the College of Charleston Alumni Association, who shall be a South Carolina resident and hold an undergraduate or graduate degree from the College of Charleston. The term of office of the at-large Trustee appointed by the Governor is effective upon certification to the Secretary of State and is coterminous with the term of the Governor who appointed the at-large Trustee, but such Trustee shall be permitted to serve after the term of the appointing Governor until a successor is appointed and qualified. The Trustee appointed by the Governor, upon recommendation of the College of Charleston Alumni Association, shall be for a term of four years, the first such term having begun on July 1, 2010 and expired on June 30, 2014. Each subsequent term for the Trustee recommended by the Alumni Association shall begin on July 1 immediately after the expiration of the previous term and expire on June 30 in the fourth year thereafter, but such Trustee shall also be permitted to serve until a successor is appointed and qualified. All Trustees elected by the South Carolina General Assembly are for four-year terms. If a Trustee position becomes vacant during the term of the Trustee occupying that position, it will be filled for the unexpired portion of that term in the manner prescribed by law. Notwithstanding the manner by which a Trustee is elected or appointed to the Board, each Trustee owes a duty of faithful and diligent service to the College and shall act at all times in the best interest of the College. The officers of the Board shall consist of a Chair, a Vice-Chair, and a Secretary. Duties of the Chair shall be to convene Board meetings, preside at all meetings of the Board and the Executive Committee, appoint committee members and committee chairs, serve as an ex officio member of all other Standing committees of the Board, and serve as the primary spokesperson for the Board. Duties of the Vice-Chair consist of all duties of the Chair in the absence of the Chair. Duties of the Secretary consist of attesting to the authenticity of all official Board actions and Board approved documents or other records required under law or requested by the College. At the August meeting of the Board in even-numbered years the Audit and Governance Committee will accept Board Officer nominations. Trustees may submit their name or nominate another Trustee for a Board office. The Audit and Governance Committee will serve as a “pass through” for Officer nominations. At the close of the August Board meeting, nominated Trustees may begin soliciting support until election(s) take place at the October Board meeting. At the October meetings of the Board in even-numbered years, the first order of business shall be for the Board to elect its Officers. Officers are elected to serve a two-year term and shall serve in that capacity until their replacements are qualified and elected by the Board or until their prior removal or resignation. A Board Member may serve as an Officer in the same position for no more than three consecutive terms. Except for the Office of the Chair, any vacancy in an Office occurring by reason of death, resignation, or removal shall be filled for the unexpired term by a majority vote of the Trustees at any Regular Meeting or Special Meeting held for that purpose. In the event of a vacancy in the Office of the Chair due to any such reason, the Vice-Chair shall, without further action of the Board, assume the position of Interim Chair and serve as Interim Chair until the next meeting of the Board at which time a Chair shall be elected by the Board. At the October meeting of the Board in even-numbered years, the Chair of the Audit and Governance Committee will present the Board Officer candidate(s) names to the Chair of the Board for the voting of Officers by the Trustees. The vote shall be by written ballot of the Trustees, a quorum being present, and the candidate(s) receiving a majority vote for an Office shall be announced by the Chair and shall be deemed elected to that office. In the event any candidate fails to obtain a majority vote, a runoff of the top two vote getters will be conducted. Newly elected Officers shall assume their respective offices at the conclusion of the meeting at which they were elected. A quorum for the transaction of business at meetings of the Board, or its committees, shall consist of a majority of the respective regular voting members. The Board members present at any meeting, if constituting less than a quorum, may adjourn any meeting until such quorum shall be present. Upon request of any Board or Board committee member, a vote by the Board or committee, as applicable, shall be by call of the roll and results of such roll call vote shall be recorded in the minutes of the Board or committee. When the Board adopts any change to the tuition or fees imposed on students, the change can be implemented only after a public vote with the number of Trustees voting for and against the change being counted. A majority vote of the Board is required to implement any change to tuition or fees. Unless prohibited by the enabling legislation or the Bylaws, any or all Board members may participate remotely in a meeting of the Board, or any committee, by means of conference telephone, or similar communications mechanism, by which all persons participating in the meeting can hear each other simultaneously. Participation by such means shall constitute presence in person at such meeting. The use of proxies for purposes of determining a quorum, for voting or for any other purpose, is not permitted. Prepare notices of the time and place of all meetings of the Board and its committees and provide them to each Trustee not less than five days before each meeting. Prepare an agenda for all Board Committee meetings. Make arrangements for the meetings of the Board and its Committees, including meals and social functions when appropriate or as directed by the Chair. Act as coordinator of the Board and its members for all official functions and activities of the Board or with which the Board is involved. Provide liaison between the Board and its members as well as provide an additional link between the Board and the President. Ensure compliance with the requirements of the South Carolina Freedom of Information Act as it pertains to Board and its Committee meetings and records. Other such duties as required by the Board, its Chair, and the College President. Each Standing Committee shall have at least three voting Trustees. All Standing Committee members shall be Trustees. Each Committee shall have a Chair who shall serve for one year term with the Chair being selected by the Board’s Chair. The Chair of the Board can be a member of each Committee. The President of the College shall be an ex-officio, non-voting Member of all Standing Committees except the Audit and Governance Committee. Each Standing Committee shall have an officer of the College or administrative staff member, designated by the President, to assist with its work. A majority of the Committee’s voting members shall constitute a quorum. The Committees shall meet as necessary to discharge their responsibilities but no less than four times each year. The Board shall establish such other committees, of its own members and/or of the administrative officers and faculty of the College, as it deems necessary or advisable for the best discharge of its responsibilities in supervising the operations of the College. e. Conferral of degrees, selection of recipients for honorary degrees, and naming rights. 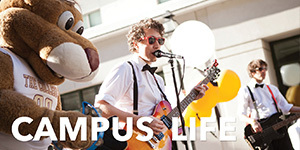 The purpose of the Academic Affairs Committee is to oversee educational quality of the College. This Committee is responsible for monitoring (i) learning goals and outcomes; (ii) program quality, institutional and program accreditation, and program review; (iii) student retention, graduation rates, graduate school acceptances, and job placement; (iv) policies and procedures related to faculty compensation, appointment, tenure and promotions; (v) academic planning; (vi) the structure of the academic programs; and (vii) budgets for academic programs and services. 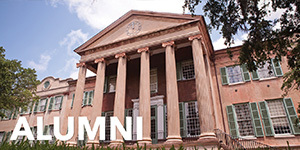 The purpose of the Alumni Relations Committee is to establish and maintain cooperative relations with the College of Charleston Alumni Association. It shall review and support the programs provided by the Office of the Alumni Relations and the Alumni Association that serve, involve, and inform the Alumni of the priorities and activities of the College and its students. 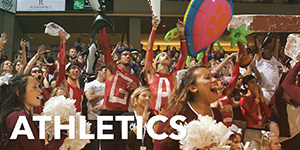 The purpose of the Athletics Committee is to formulate, review, and approve, subject to Board approval, all policies affecting the intercollegiate activities of the College and to provide advice and assistance to the College President and the Athletic Director in the selection of varsity head coaches. This Committee is responsible for (i) ensuring that the Board is informed on policies governing the entire range of intercollegiate activities at the College; (ii) reviewing periodically policies affecting student-athletes; (iii) review, when appropriate, the fees and rates recommended by the Administration and the Budget and Finance Committee for major student services, including health and residence life; (iv) making recommendations, when appropriate, to the Facilities Committee about major capital improvement project needs for the intercollegiate activities of the College; and (v) reviewing, when appropriate, the fees and charges recommended by the Athletic Director or the Administration. 5. Audit and Governance Committee. The purpose of the Audit and Governance Committee is one of oversight. It serves as the Board’s overall guardian of the College’s financial integrity. This Committee is responsible for (i) overseeing the external financial audit; (ii) ensuring compliance with legal and regulatory requirements; (iii) monitoring internal controls and risk management systems; (iv) establishing and maintaining standards of Board conduct; (v) recommending officers for Board approval; (vi) ensuring that Board members have adequate orientation and ongoing education; (vii) assessing the performance of the Board and its members; and (viii) periodically reviewing and ensuring compliance with these Bylaws and other Board policies. 6. Budget and Finance Committee. The purpose of the Budget and Finance Committee is to oversee the funding of the College’s yearly operation plans and the financing of the College’s long term capital needs. It is responsible for (i) monitoring financial performance; (ii) review an annual and long range operating budgets and presenting the budgets to the Board for approval; (iii) reviewing and recommending to the Board requests and plans for borrowing; (iv) ensuring that accurate and complete financial records are maintained; (v) recommending funding options for facility construction/acquisition plans as developed by, and/or in coordination with the Facilities Committee; and (vi) ensuring that timely and accurate financial information is presented to the Board. The purpose of the Development Committee is to oversee and facilitate Board and Board member participation in institutional advancement, fundraising activities, and to work hand in hand with the College of Charleston Foundation to fulfill the Mission of the College. This Committee is responsible for (i) monitoring development plans in progress; (ii) developing fundraising policies and procedures; (iii) establishing goals for and evaluating Board member participation in charitable giving, and (iv) participating and identifying, cultivating and approaching major donors. The purpose of the Facilities Committee is to oversee the consideration of all Board matters relating to (i) the buildings and grounds of the College; (ii) the design and location of new building and maintenance; (iii) the improvement or remodeling of older buildings; (iv) the landscaping of the grounds; (v) and all other matters having to do with the physical care and preservation of the College’s physical plant, furniture and equipment. It shall report to the Board with its recommendation thereon and also on all contracts relating to new construction, improvement and repairs to existing building and the grounds of the College. 9. Governmental Affairs and External Relations Committee. The purpose of the Governmental Affairs and External Relations Committee is to monitor the external relations of the College with governmental entities, as well as private entities. It is responsible for ensuring that a clearly defined legislative agenda is designed each year for the advancement of the College and its University. The purpose of the Information Technology Committee is to monitor, and make recommendations to enhance and advance technology throughout the College. The Committee will work with the Senior Vice President/Chief Information Officer on matters relating to Information Technology initiatives, projected and services to the College. This Committee shall review policies and activities relating to the College’s Student Affairs and the applicable College department governing such. This Committee will be responsible for ensuring the applicable College department successfully achieves its goals and supports the College’s Mission, goals, and strategic plans. The Committee shall have as its principal liaison with the College the head of the applicable department that primarily governs the College’s Student Affairs. The Committee will meet on a regular basis with representatives of the student body, including the President of the Student Government Association (or their representative) and the President of the Graduate Student Association (or their representative). Both Student Association Presidents will attend all quarterly meetings of the Student Affairs Committee and all quarterly meetings of the Board. This Committee is responsible for (i) ensuring that the Board is informed on policies governing the entire range of Student Affairs; (ii) reviewing periodically policies affecting students including but not limited to student health and welfare, residence life, student development, counseling and substance abuse, student honor and conduct systems, campus social, cultural and recreational programs, and critical incident response planning; (iii) reviewing, when appropriate, the fees and rates recommended by the Administration and the Budget and Finance Committee for major student services, including health and residence life; (iv) making recommendations, when appropriate, to the Facilities Committee about major capital improvement projects for Student Affairs facilities; and (v) making recommendations, when appropriate, to the Development Committee about capital fund-raising campaigns for Student Affairs programs and facilities. There shall be at least four regular meetings of the Board each year, scheduled as the business of the College may require. These meetings, if possible, shall be scheduled quarterly. All meetings of the Board, and its committees, shall be conducted in full compliance with the South Carolina Freedom of Information Act. Any meeting may be continued by adjournment from day to day or there may be an adjournment sine die. At regular meetings, any business relating to the College may be discussed and transacted. In addition to the regular meetings, the Chair shall have power to assemble the Board at any time in special meetings, or upon the written request of three members of the Board or the written request of the President of the College. The Chair or the Board Secretary shall cause to be delivered to each Trustee, by regular mail, electronic mail, or otherwise, notice of such special meetings along with a clear statement of purpose, at least twenty-four hours in advance. At a special meeting, the Board may deal with only that business which was stated in the call for the meeting. Vesting of Authority: The authority for the administration of the College is vested by the Board in the office of the President and such subordinate officers as may from time to time be appointed by the President. Appointment and Terms: The President is appointed by the Board to serve for such terms and on such conditions as appropriate. All other officers of the College are appointed by the President and serve at the pleasure of the President for such terms and upon such conditions as is deemed appropriate. General Powers and Duties of the President: The President is the Chief Executive Officer of the College and Chair of the Faculty. While the President is vested to act for the Board in administering the affairs of the College, he is also responsible for achieving the stated purposes of the College, adhering to the annual Budget as approved by the Board, following the College’s Mission, and attending all Board meetings, as an ex-officio member, unless specifically excused by the Board Chair. The President shall serve as the official medium of communications between the Board on the one hand, and the College faculty, administrative officers, individual members of the staff, college organizations, student organizations and students on the other. The President shall represent the College in its relationships with other institutions, the news media, government agencies, alumni and the general public. He organizes and directs administrative officers in the performance of their assigned duties. He is a member of the Faculty and, when present, presides at its formal meetings. He reports regularly to the Board on the condition of the College and presents to the Board proposed programs and courses of action requiring Board approval. The President, along with the applicable executive officers of the College, shares with the Faculty the responsibility for proposing educational programs and policies as well as for the orderly implementation of educational programs and policies. 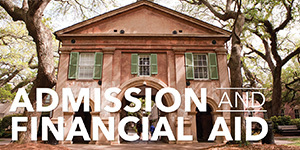 e. solicit and receive funds on behalf of the College and the College of Charleston Foundation. The President is directly responsible for the formulation of policies for the operation and development of the Library, including the allotment of budgeted funds to particular departments and other units as well as the implementation of the selection and use of library materials (subject to the general responsibility of the staff and faculty in the selection and use of library materials). In the discharge of this responsibility, the President is empowered to delegate to other administrative officers specific powers and duties. The President is directly responsible for the orderly conduct of the intercollegiate athletic programs of the College. He has the powers necessary to discharge this responsibility as well as to propose new intercollegiate athletic programs or the cessation of intercollegiate athletic programs both of which are subject to Board approval. The President is responsible for the development of policies and programs which will enhance the quality of campus life in its total sense. To this end, the President is authorized to employ administrative officers and staff personnel to conduct social and cultural programs and to make provisions within proposed annual budgets for the support of these programs. Except as specifically herein limited, the President has the power of final approval of all initial appointments, renewals of appointments, promotions in rank, compensation, conferral of tenure and termination of Faculty, staff and administrative personnel members. The appropriate vice president or other officers of the College are responsible for making recommendations to the President in respect to all such matters. Although the Board delegates the authority to the administration of the College to the President of the College, nothing herein shall be construed as limiting the Board’s statutory authority as conferred by the South Carolina General Assembly. The role of the Audit and Governance Committee is one of oversight and it serves as the Board’s overall guardian of the College’s financial integrity. With respect to such matters, the committee serves as the focal point of communication between the Board, the Internal Auditor and external auditors. The President of the College may advise and consult with the Committee on any matter pertaining to the financial integrity of the College including, but not limited to, the internal and external auditing of the College’s operations, programs and records of account. The Internal Auditor shall be appointed by the President upon consultation with the Audit and Governance Committee. The Internal Auditor shall report directly to the President or the President’s designee for day-to-day administrative purposes, but shall have an open and unrestricted reporting relationship with the Audit and Governance Committee. In that regard, and in order to achieve necessary independence, the Internal Auditor shall be afforded the opportunity to perform and present timely audit plans and internal audit results to the Audit and Governance Committee of the Board without restriction or edit. None of these By-Laws shall be subject to change by repeal, alteration, or suspension, except by vote of two-thirds of the Board. Proposed amendments may be presented to the Board by members of the Board, by the President, or, when transmitted through the President, by the Faculty. Proposed amendment(s) must be submitted in writing to all members of the Board at least thirty days before the meeting at which action on the proposed amendment(s) is to be taken. In the absence of specific instructions by a majority of the Board, the Board shall conduct its meetings in accordance with Robert’s Rules of Order. The Board may recognize a former trustee for loyal, dedicated and significant service to the College. Trustee Emeritus status will be granted when a former Board member is nominated by the Audit and Governance Committee, then elected by a two-third majority vote of the Board. To be eligible, the former Board member must have been elected/appointed for three (3) terms. In the event that a Trustee has been elected/appointed for a fourth term, he then has the option to declare himself a Trustee Emeritus upon his/her retirement from the Board. At the August meeting of the Board in even-numbered years the Audit and Governance Committee will accept Trustees Emeriti nominations. Any Trustee may submit the name(s) of a former Trustee(s). The Audit and Governance Committee will serve as a “pass through” for Trustees Emeriti nominations. At the October meeting of the Board in even-numbered years, the Chair of the Audit and Governance Committee will present the Trustees Emeriti nominations to the Chair of the Board for voting by Trustees. The vote shall be by written ballot of the Trustees, a quorum being present, and the candidate(s) receiving a 2/3 majority vote for Trustees Emeriti shall be announced by the Chair and shall be deemed elected to that designation. Newly elected Trustees Emeriti will assume their respective designation at the conclusion of the meeting at which they were elected. Trustees Emeriti will be elected for life. Trustees Emeriti will be non-voting, ex-officio members who are not reimbursed from appropriated funds (per diem or mileage). Trustees Emeriti will be invited to all Board meetings but would have no right to vote or to participate in executive sessions. These Trustees Emeriti will provide support for the College as knowledgeable friends and ambassadors. The Board shall approve all commencement speakers, and honorary degree recipients. The Board shall adopt policies for all naming opportunities at the College.